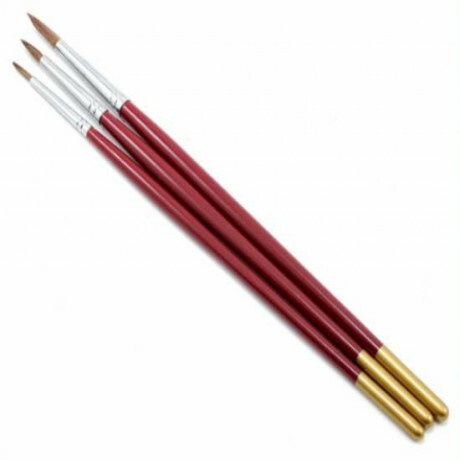 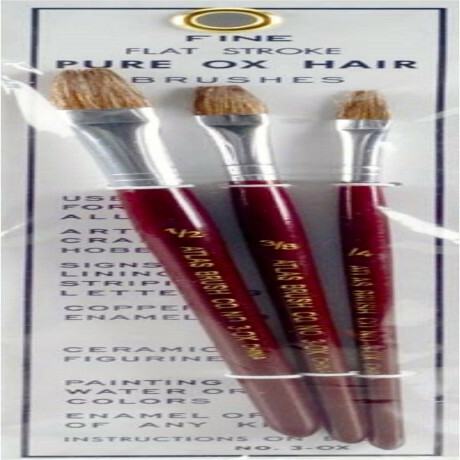 Red sable brushes taper to fine point for small detail painting. 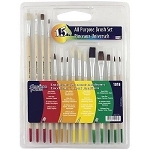 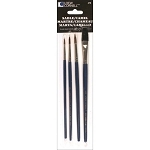 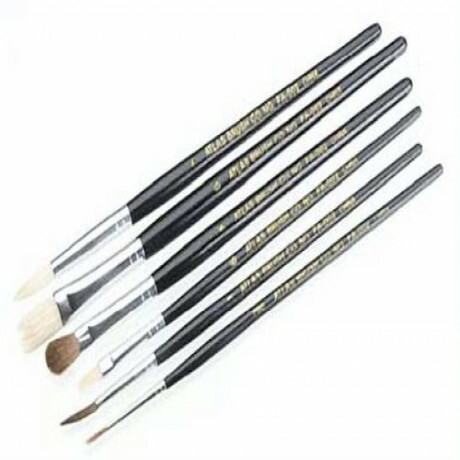 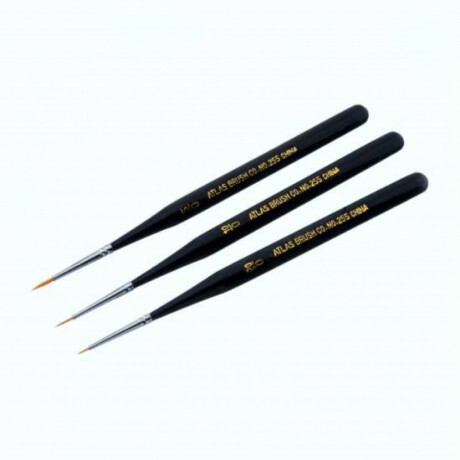 Pack of 3 brushes includes 1 each 10/0, 5/0 and 0 size with protective plastic covers. 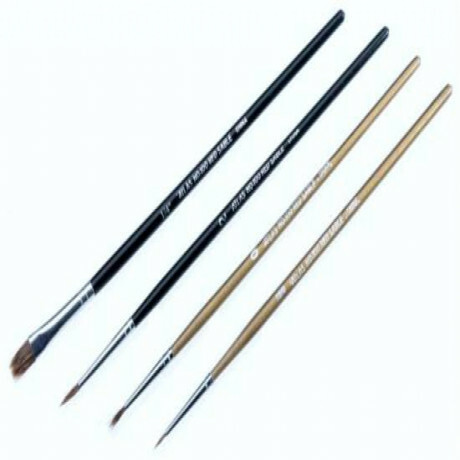 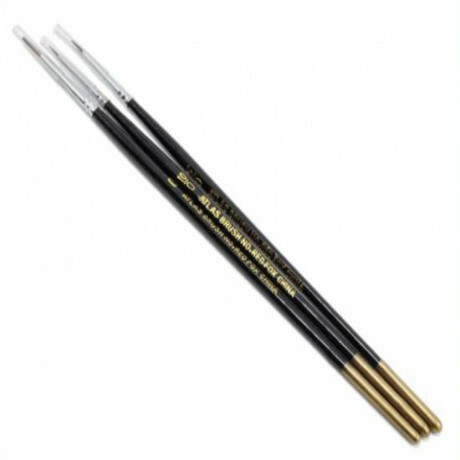 Can be used in all kinds of paint; water, oil, enamels, varnish, lacquer, bronzes and more.Total length 6.8" (173mm).